You are here: Home › MP Blog › 2300 rpm limit? P0340 Check Engine Code in a 2003-2005 Dodge SRT-4? Heres how to fix. 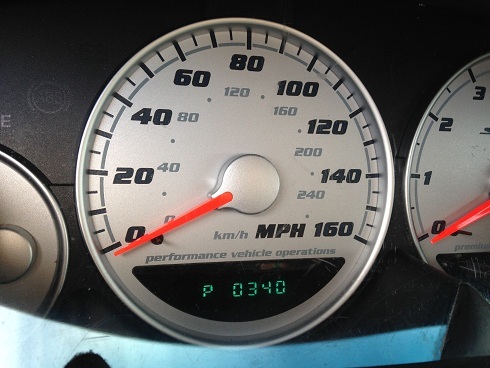 If you own a 2003-2005 Dodge SRT-4, at some point more than likely you’ll get a P0340 check engine light. Its fairly common, but its an easy fix so dont worry. So, the cam sensor on the SRT4 is right on top of the engine on the driver side. Its held in place with two bolts and has an electrical plug that connects to it. So, getting rid of this issue is easy. First, buy the Mopar OEM cam sensor WITH THE MAGNET (both sold seperately). Then, undo the factory two bolts, remove the electrical connector to the sensor. Then, using a star bit, remove the magnet. Now, dont worry the magnet has offset pins so you can only put it back in one way (note – aftermarket camshafts may sometimes have two different pin holes that allow you to rotate the magnet, so keep an eye on which way the pins are plugged into the camshaft). 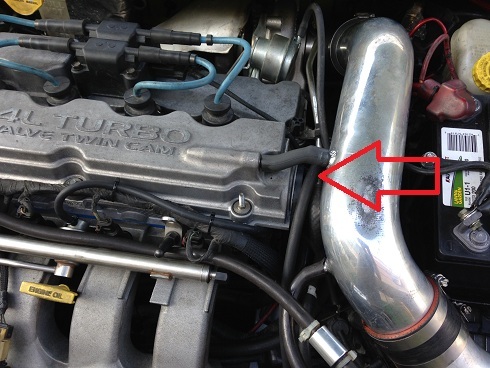 After installing the magnet onto the end of the camshaft, make sure the cam sensor gasket is in place and then attach the cam sensor onto the head. Then plug in the electrical connector. Disconnect the battery for 5-10 minutes to reset the pcm and erase the check engine code. Note: the crankshaft sensor is also on the same electrical circuit as the cam position sensor so sometimes you can have a check engine light trigger for the cam sensor, and after replacement still have the same issue. If thats the case you may have to do further testing and or replace the crank sensor. To jump to our site to buy a replacement OEM Mopar cam sensor and magnet, simply click on the photos above.